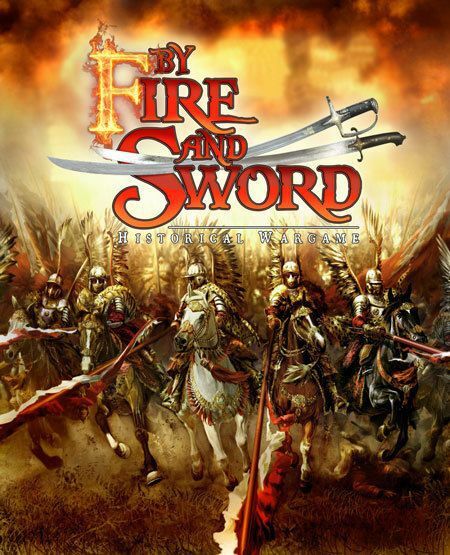 Wahey, time for some By Fire and Sword figures; starting with some of the most iconic historical cavalry formations in the world - Winged Hussars! By Fire and Sword is possibly one of the most popular and well produced rules sets set in the 17th century. It covers the tumultuos times between 1640 and 1676 on different tactical levels. 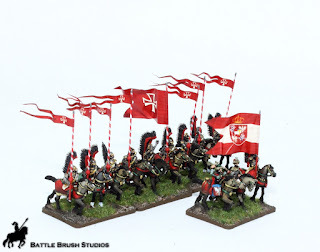 Which is a very interesting setting for your games, looking as how it was a time of constant warfare on Polish-Lithuanian soil involving Sweden, some German states, the Polish-Lithuanian Commonwealth, Muskovy, Cossacks, Ottoman Turks, Transylavnians, and so on. The immense size and geography of the land also naturally led to the extensive use of cavalry and a lot of movement. Apart from a lavishly produced and illustrated (and huge) hard-back rulebook Wargamer.pl also produce a comprehensive range of 15mm figures along with it. I'm quite into the 17th century in terms of wargaming. However, the fact that the rules cover a time past the 30 years war I never picked the rules up (also: I play the period in 10mm). I had a demo game at a friend's a while ago, and the rules are perfectly serviceable as far as I can remember. The remarkable thing is that Wargamer.pl took the plunge and run this huge range of 15mm miniatures and terrain) for this period which, by current wargaming standards, is a niche one. 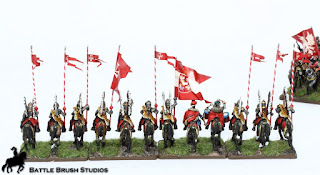 So it's great that we get yet another source for 15mm figures for the mid to late 17th century. Given the setting a great many of these figures will also work great for earlier 17th century conflicts. For the first update I'll go with Winged Hussars - some of the most iconic cavalry there is. 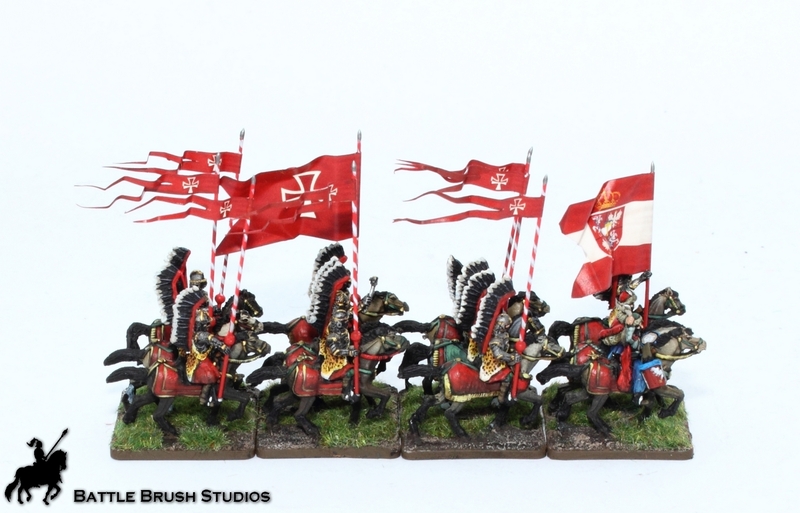 Believe it or not, this was the first time ever I painted Winged Hussars (not counting Warhammer Kislevite units.) Weird, isn't it. But I got that out of the way now. The exact reason why the wings were worn is disputed as far as I know. Some claim it's because in earlier times they fought steppe tribes who liked to use lassos to pull the armoured warriors off their horses, and the tall structures would help defend against those trown lassos. Others say that it's about the sound the feathers make on the charge or if wind blows through them. Either way, it looks cool. Just like other iconic cavalry or military formations of course this comes with the downside that some people like to use artwork of these guys for their unsavory facebook groups or websites. A bad side effect. Anyway, I had fun painting these guys, and they look great when all done up. Hope you like them too, and stay tuned for their comrades!